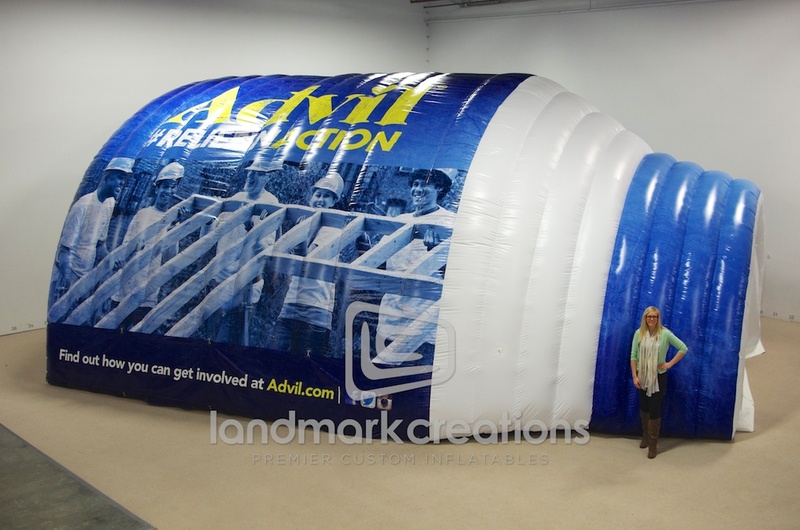 With the launch of Advil's Relief In Action campaign, honoring volunteers, they turned their classic Advil bottle into an inflatable disaster relief tent. 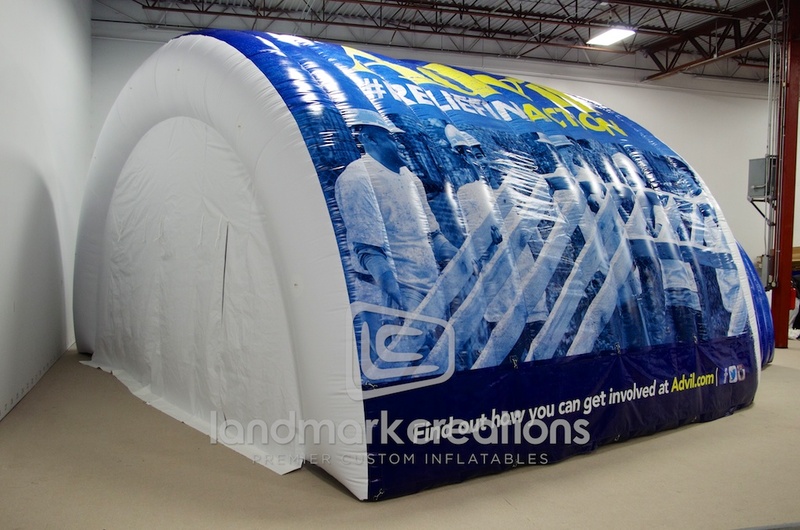 Internally lit, this custom rehab tent can be used to provide shelter to victims or as an area for volunteers to regroup while helping others. 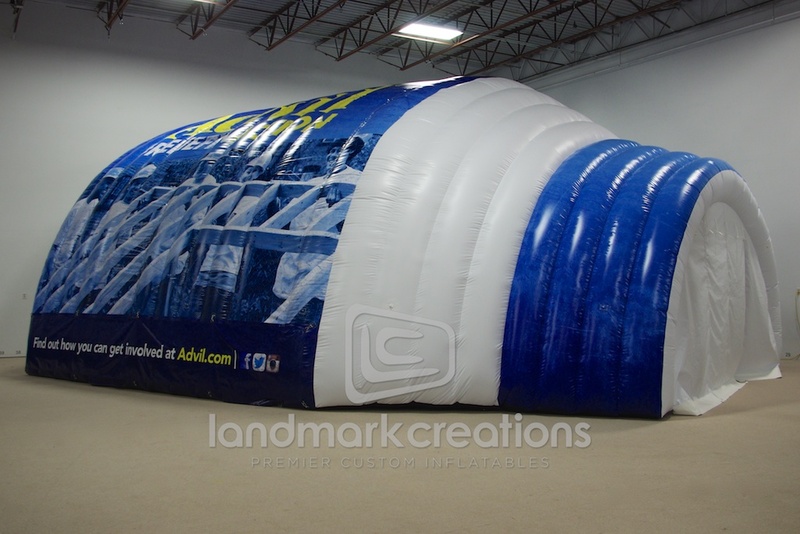 Pack DIMs: 66" x 40" x 64"